Tailwind Nutrition’s vegan recovery drink mix, Rebuild, is now Informed-Choice Finished Product Certified. Products certified by Informed-Choice serve as the ‘global gold standard, demonstrating the highest level of commitment to quality assurance available to the sports supplement industry’. 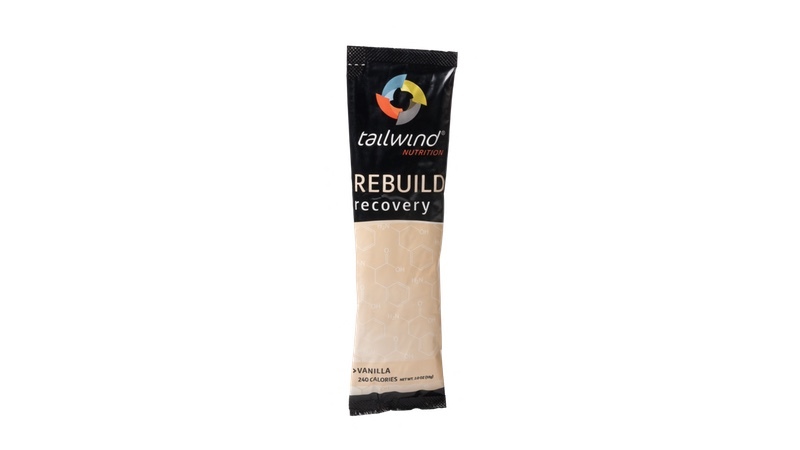 Tailwind Nutrition’s Rebuild is a vegan recovery drink mix developed using a ‘perfectly complete protein based on a patent-pending mathematical model’. Combining an organic rice and coconut-milk based formula with a combination of essential building blocks (carbohydrates, amino acids, electrolytes, and protein), Rebuild claims to replace depleted glycogen stores, rebuilds broken down muscle fibres and mitochondrial protein, and restores hydration and electrolytes. Tailwind adds that Rebuild provides an efficient complete protein ‘which means that more protein goes directly toward recovery – nearly 2x as much as chocolate milk and 3x as much as many other recovery drinks for the same serving size’. Rebuild is non-GMO, gluten-free, soy-free and dairy-free. The company adds that it contains the right types and amounts of carbohydrates to restore glycogen stores after a hard workout. Certification under the Informed-Choice program includes a detailed review and assessment of the manufacturing processes, testing across multiple batches, and post-certification testing through monthly blind sampling. Products that carry the Informed-Choice logo are regularly screened for banned substances, down to part-per-billion levels. Informed-Choice was established by LGC, a world renowned anti-doping laboratory with over 50 years’ experience in doping control and research in sports. With the support of key players in the supplement industry it has since become an international standard in sports nutrition quality assurance, allowing companies such as Tailwind meet the needs of consumers, elite and amateur athletes, coaches and nutritionists.